Fresh Mint and Strawberry Lemonade Hemp Oil Vape Pens. These vape pens are formulated with organic full spectrum oil and a proprietary mix of vegetable glycerin, propylene glycol and natural flavors. 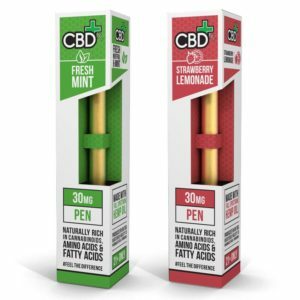 Containing 30mg of pure CBD per pen. These vape pens offer a potent dose and are perfect for your active lifestyle. No charging required and are ready to go straight out of the package.